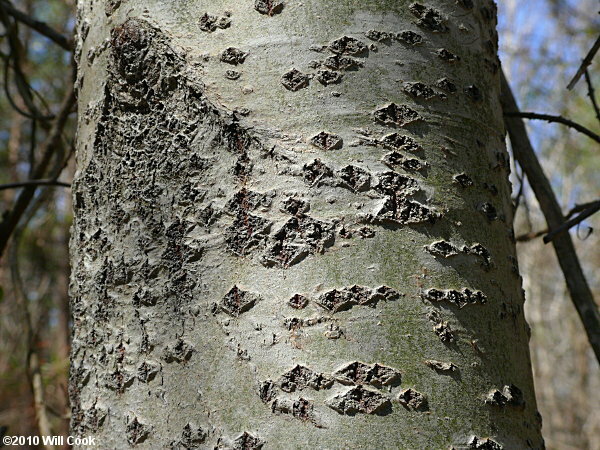 White Poplar is a fairly common European import found in waste places and near old homesites. New sprouts frequently spring up from the roots; it is most often seen as a colony of small trees. 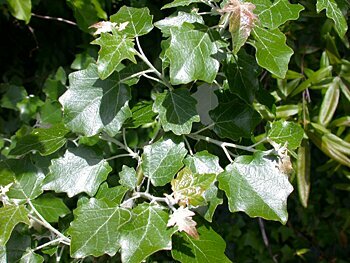 Though it does spread slightly from cultivation, seedlings are very rare, so it poses relatively little threat as an invasive. 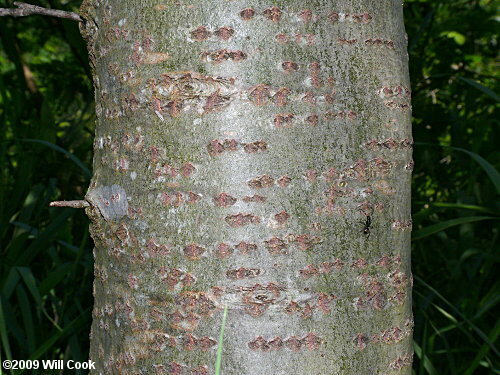 The uppersides of the maple-like leaves are dark green and very shiny. 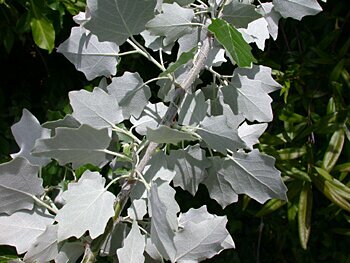 The highly contrasting leaf undersides are densely white-woolly. 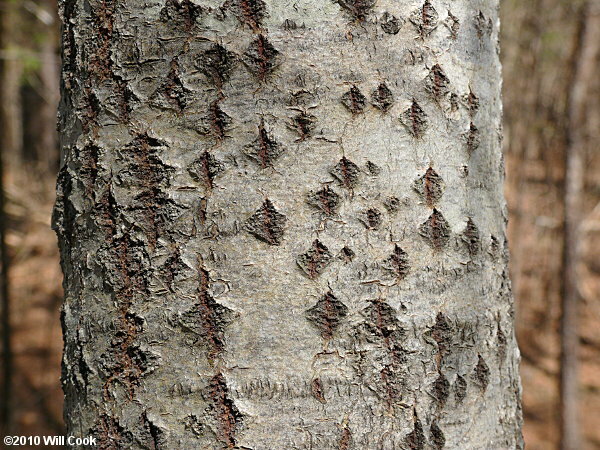 Bark of a medium-sized tree is smooth pale gray interrupted by diamond-shaped rough patches surrounding lenticels.